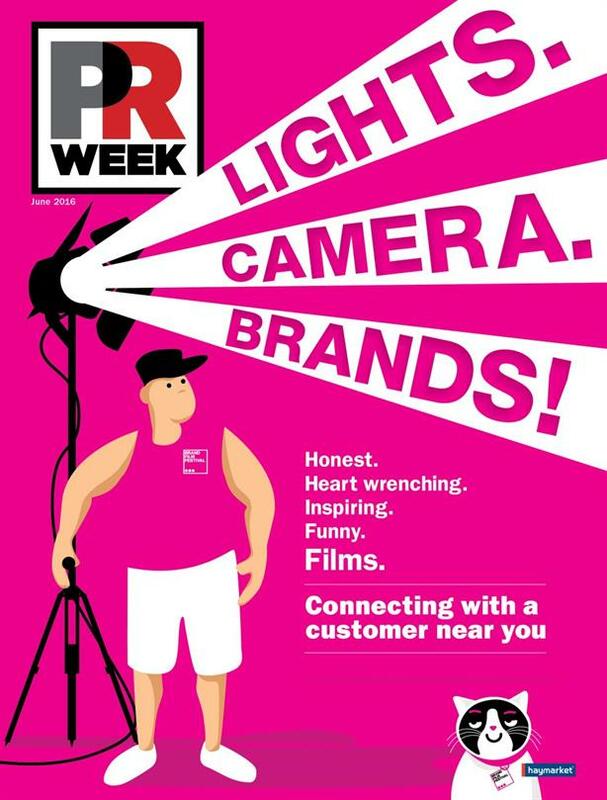 Welcome to the Digital Edition of the June 2016 issue of PRWeek U.S.
• Newsmaker – Since its spin-off of PayPal, eBay has played a key role in shaping public discussion on hot-button issues from the Confederate flag to anti-LGBT laws. And its CCO Dan Tarman is helping to redefine the way consumers see the e-commerce marketplace — both online and off. • Brand Film Festival – How has the role of film evolved when it comes storytelling and how can this medium be most effectively used when partnering with brands? This feature will talk to film creators and their brand partners to uncover what works best in today's marketplace and put a spotlight on the honorees at PRWeek’s first Brand Film Festival. • PRWeek Global Congress – Highlights from the PRWeek Global Congress, a two-day conference with industry leaders convening around best global practices and truly groundbreaking work. In addition, the PRWeek Global Awards honored the transformative work that crosses borders, building brands and trust, enabling the growth of international enterprise. • CMO Q&A – Emily Culp, reveals how the shoe brand has stayed relevant for 100 years and details its partnership with Taylor Swift. • CEO Q&A – Dr.Toby Cosgrove talks about how he keeps Cleveland Clinic on top of its game and educates the community it serves. • City spotlight – Sean Casey, partner at Eric Mower + Associates, says Albany’s pairing of progressive thinking and rich history helps attract comms pros.